When you encounter errors with a backup application that uses the SQL Server Virtual Device Interface (VDI), you can check the logs generated by the VDI for more information. Depending on the version of the VDI that's active on your system, the logs are stored in different places. See this document on how to identify the VDI version that's registered on your system. If your VDI version is that installed by SQL Server 2000, the VDI will generate a log file named vdi.log in the SQL Server instance's log folder, which contains further details of the error. 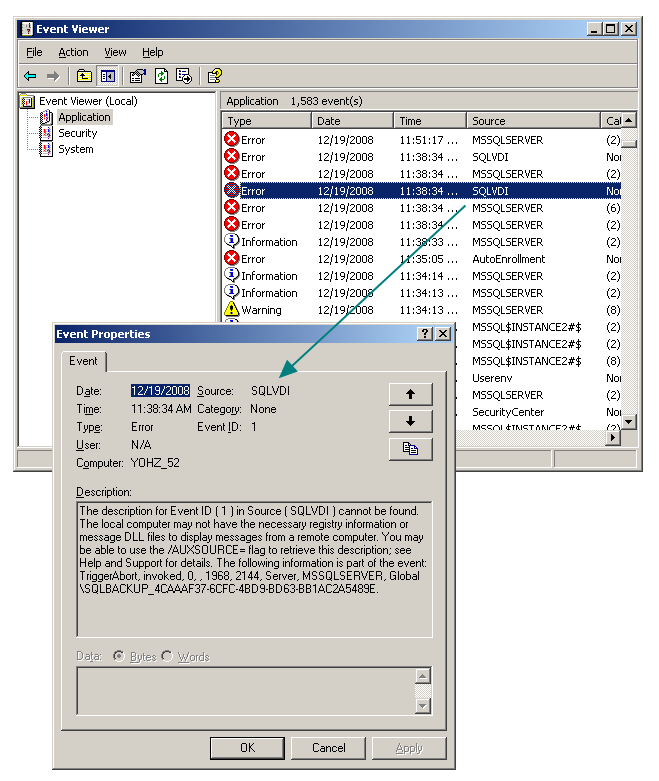 If you are using the VDI library installed by SQL Server 2005 or later, errors are logged in the Windows Event Viewer. 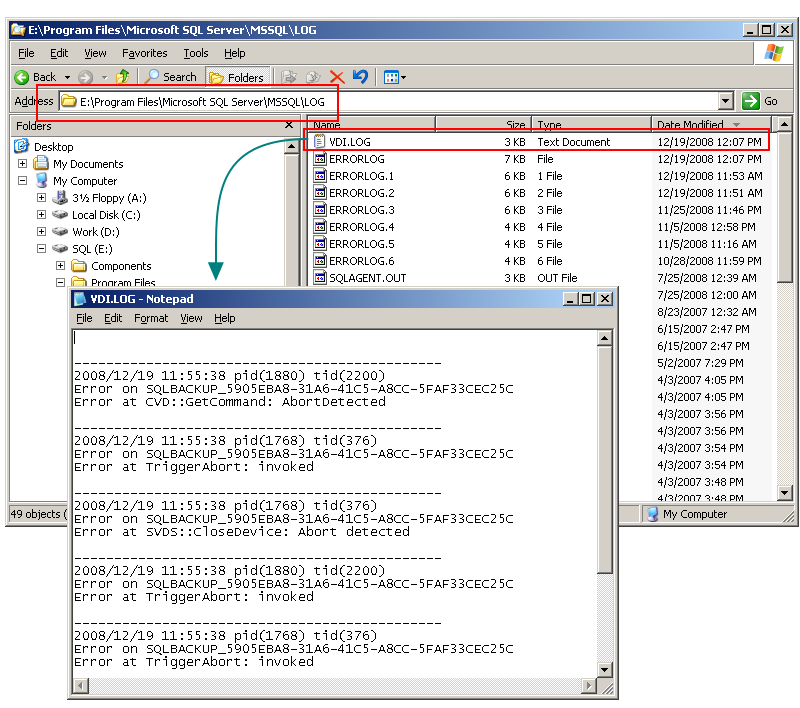 The Source component is identified as SQLVDI. Your backup software may also report certain VDI error codes during a failure. The following are the VDI error codes and the corresponding textual description. The object was not open. An example of this error happening is when the backup application has closed its VDI connection, but SQL Server is only now servicing the backup request sent by the backup application. This may be because another process was blocking the backup, and the backup application has aborted the backup process. The api was waiting and the timeout interval had elapsed. Similar to the above example, this can happen when the backup application has waited a set amount of time waiting for SQL Server to respond to its backup request, but did not receive any response. An abort request is preventing anything except termination actions. An example of this error is when the backup software has encountered a critical error, and has issued an abort request to the VDI. Failed to create security environment. An example of this error is when the 32-bit and 64-bit versions of the VDI library (sqlvdi.dll) is mismatched. See this topic for further details. Failed to recognize the SQL Server instance name. The requested configuration is invalid. The object is now closed.